Thank you for visiting this site and taking the time to connect. We are all part of an invisible network, and with the miracles of technology we can now find and meet each other more easily. Welcome! 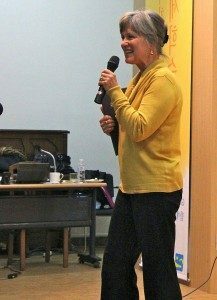 Gita Morena is a transpersonal psychotherapist, teacher and author. She blends Jungian psychology and eastern spirituality in her work and has a unique way of exploring internal stress, and trauma to resolve emotional pain. In her presence mind, body and spirit come together to expand consciousness, access inner wisdom and awaken creativity. She uses sandplay and dreamwork to focus on issues of transitions, grief, aging and spiritual exploration. 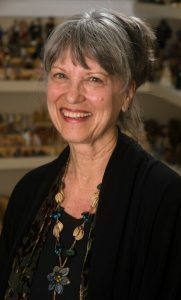 She recently opened an office in Santa Monica, California, and is available for personal psychotherapy, clinical case consultation and professional training in Jungian Sandplay Therapy. For further information, you can contact her directly at gitam@mac.com. Jungian sandplay therapy is a non-verbal therapeutic process based on the depth psychology of C. G. Jung. During a sandplay session, miniature objects and symbols are used to create scenes in small sand trays. By using visual images for self expression, feelings and attitudes emerge. This stimulates the conscious mind to expand and become aware of what has been hidden in the unconscious. It is a direct method to experience the Self, which Jung encouraged as an essential step for healthy psychological development. Through this sacred process, the unconscious emerges spontaneously and inner wisdom becomes accessible. Sandplay releases internal pain, heals past trauma, expands consciousness, and provides a platform for psychological transformation and spiritual awakening. Dr. Morena also includes dreamwork, meditation and art therapy to access the unconscious, relieve anxiety, address grief and stimulate expanding consciousness. As the great granddaughter of L. Frank Baum, Dr. Morena brings the legacy of The Wonderful Wizard of Oz into many aspects of her work. 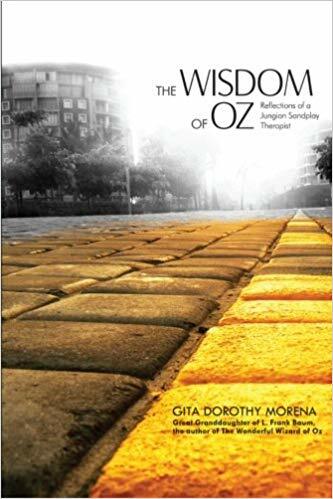 In her book, The Wisdom of Oz: Reflections of a Jungian Sandplay Psychotherapist, she explores the symbolism and insights in the Oz fairy tale. She sees Dorothy’s adventure in Oz as a metaphor for personal growth, spiritual transformation, and the emergence of the feminine. With examples from her own life and the experience of her clients, she weaves her expertise as a clinical psychologist into an exploration of the hidden gems of this quintessential fairy tale. Magically, her great-grandfather’s inspiring tale comes to life as Dr. Morena encourages Oz lovers to explore the twists and turns of their own Yellow Brick Roads. Dr. Morena presents internationally on a variety of topics, and also works remotely. You may contact her directly at gitam@mac.com for her current schedule and availability. See her resume for a complete listing of her qualifications and publications. Dr. Morena’s DVD Sandplay What It Is and How It Works, is available at amazon.com.